When federal spending is being cut sharply, including cuts to conservation funds, finding win-win solutions may not be enough anymore. So with the western sage grouse and ranchers both well qualified for the endangered species list and with less money for federal conservation programs, adding another good reason to support USDA’s Sage Grouse Initiative (SGI) arrives in the nick of time. Another good reason to restore western grazing lands to their natural productivity arrived this summer. Fittingly, after more than a century of wrong-headed fire suppression which triggered the juniper invasion, forest fires produced a new way to fight back. State and federal programs to remove junipers have shown that clearing can cost from $80 to $250 per acre, depending on tree density. Now a series of California wildfires has demonstrated immediate economic payback from clearing junipers. The 74,000-acre Chips Fire damaged PG&E power transmission lines in the Feather River Canyon, causing recurring power outages. 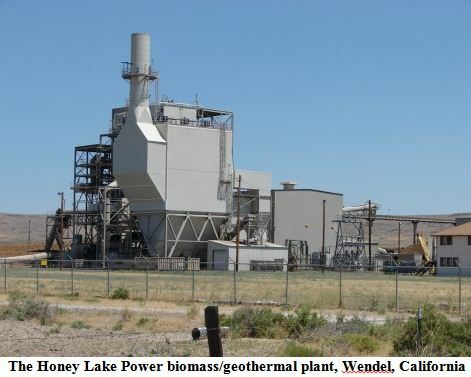 To turn the lights back on for Susanville area residents, the local utility district switched to a nearby power source, the Honey Lake Power biomass/geothermal plant. While the fires raged, Honey Lake Power generated 30 megawatts, 100% of its capacity – generating nearly half of its electricity from juniper chips, removed as part of the Sage Grouse Initiative. 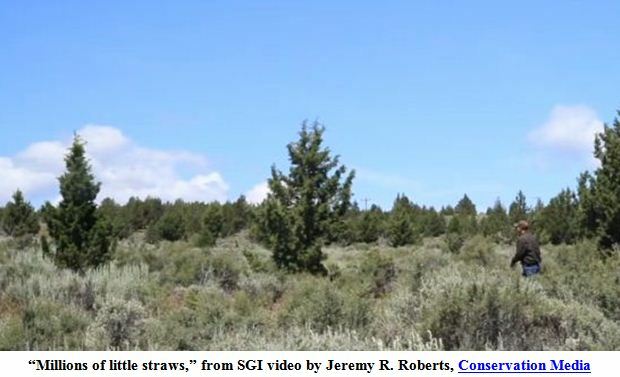 “Our office would not be open right now if it weren’t for the juniper chips,” said Ceci Dale-Cesmat, District Conservationist for USDA’s NRCS office in Susanville. 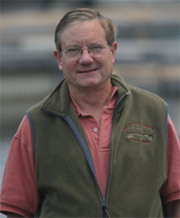 Dale-Cesmat is also the conservationist who signed SGI contracts with ranchers to remove juniper trees and make other landscape improvements that help sage grouse.